Believe it or not, rolling clothes really does save a lot of space when packing. I’ve been doing it for years and although it can be a little time-consuming you could waste a lot more time wrestling with overfilled luggage and trying to get everything inside. I’d never even heard of the concept of rolling clothes to save space until I saw a packing demonstration in a travel video. I was impressed. 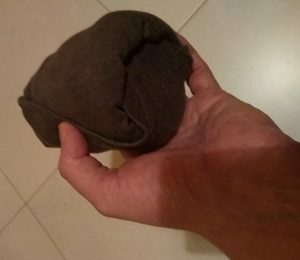 If you have never rolled clothes before, you need to know there are techniques involved. It’s not just a case of laying your clothes flat and rolling them up. They need to be rolled tightly so the parcel is nice and compact. The other thing to know is, each item needs to rolled individually. It’s no good rolling everything together into one big roll. If you watch the video to the end you will see a comparison between the rolled and non-rolled clothes. 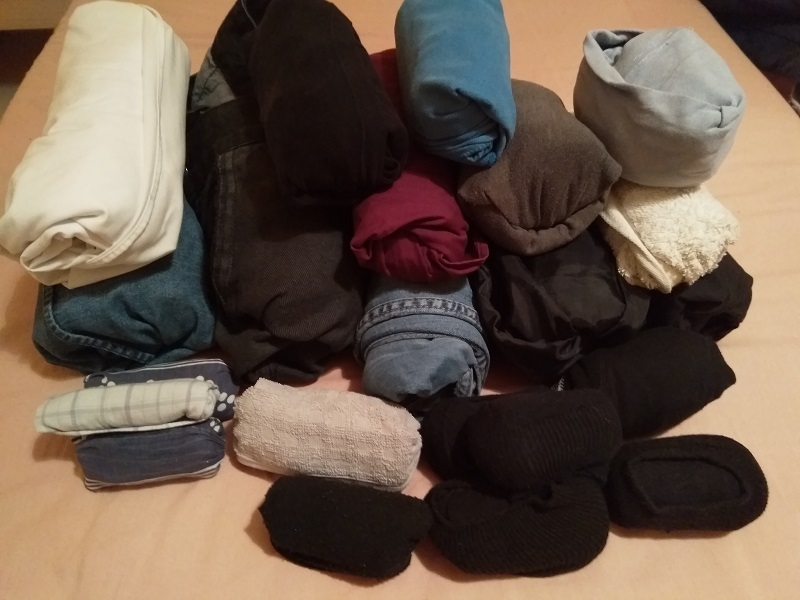 When the clothes are folded in the normal way, they take up around half the bag. When they are rolled they only take up around a quarter of the bag. There are many other clothes rolling videos on YouTube, many of them show how much space rolling your clothes can save. I’ve seen a lot of videos about rolling clothes, but nobody ever seems to explain why it works. It’s not rocket science. When you place folded clothes into a bag or suitcase, you get a lot of trapped air. You get even more if you just throw the clothes in any old how. By rolling the clothes into a neat, compact parcel, you get rid of a most of the excess air. If you want to take thing further, you can save even more space by placing your rolled clothes into packing cubes. Doing so will further compress the rolled clothes and create even more space in your luggage. Apart from the fact that it can take a little time to do, the only real downside to rolling your clothes is you are more likely to have to run an iron over them when you arrive at your destination. If you try and keep your clothes as flat and wrinkle-free as possible when you are rolling them, it does help. However, in my experience, clothes don’t always look their best after you unroll them. Having said that, it does depend a lot on the material of the clothes. For instance, cotton is apt to wrinkle, polyester can be more forgiving, and you should have no problems with wool at all. To me, having to iron out a few wrinkles is not a big problem. I’ve found rolling clothes is one of the best ways to save space while packing and that’s the name of the game.